Clean Air – PERFECTED! Introducing the Winix Signature Series of Air Cleaners. 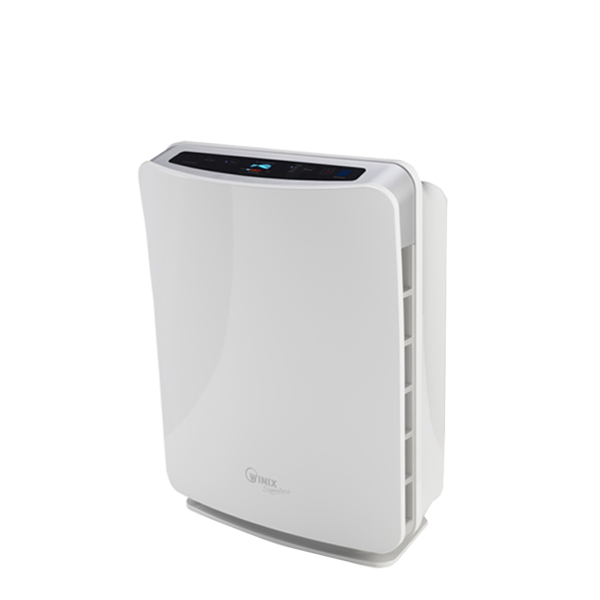 The Winix Signature U300 True-HEPA Air Cleaner with PlasmaWave™ Technology features our Signature 5 Stage Cleaning System. The system offers superior air cleaning that captures 99.99% of unseen particles suspended in the air including dust, pollen, pet dander, smoke, mold spores and organic chemicals. The Winix Signature U300 is 3X more effective than disposable carbon filters at removing the strongest household odours. The U300 is our midsized air cleaner in the Signature Series and is designed for optimal use in a large bedroom or living room. Featuring a 5-Stage Air Cleaning System, the U300 uses Washable Pre-Filter to capture large particles like hair, lint and pet fur. This helps extend the life of the HEPA Filter and reduces housekeeping. The filter is treated with CleanCel™ anti-microbial coating that prevents the growth of odor causing organisms. 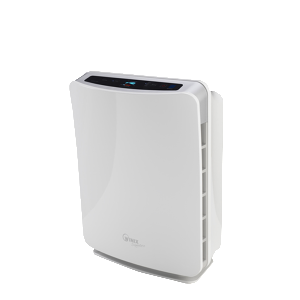 The 99.99% efficient True-HEPA Filter then captures the particles you can’t even see, including pet dander, smoke, pollen and mold spores. The air then passes through our Advanced Odour Control (AOC) Washable Activated Carbon filter that traps and absorbs the strongest household, cooking and pet odours. Winix’s own PlasmaWave™ Technology then safely breaks apart odours, chemical vapors and other pollutants at the molecular level to offer superior all-around air cleaning-without producing any harmful ozone. An Auto Mode and Air Quality Sensor combine to deliver Set-and-Forget convenience and optimal performance. Other features include: 4 Fan Speeds; Sleep Mode; Remote Control; Energy Star Qualified; AHAM Room Size Rating 300 sq ft. Winix – The Cleanest Air You Can Make Yourself.